As a yoga teacher, I emphasize yoga as a contemplative path that has the ability to awaken the hearts and minds of those who are willing to make the journey. My own journey began in 1994, when I immersed myself in my practice as a way to holistically address the effects of scoliosis and find a sense inner peace to counter the nagging voice of daily anxiety. I was tired of being a tightly wound ball of back pain that reacted to life from a place of fear. My yoga mat - and soon after, my meditation cushion - became a haven where I could safely explore my habitual patterns and navigate the highs and lows of my internal landscape. Over the next several years, I studied with a variety of notable teachers from the Anusara, Iyengar, and Kundalini Yoga traditions, fascinated by yoga's ability to deeply penetrate the physical, mental, and emotional bodies. I received my initial certification in Hatha and Kundalini Yoga in 2004, and in 2007 was initiated into the Aghora Yoga tradition of Agoreshwar Bhagwan Ram and my teacher, Baba Harihar Ramji. 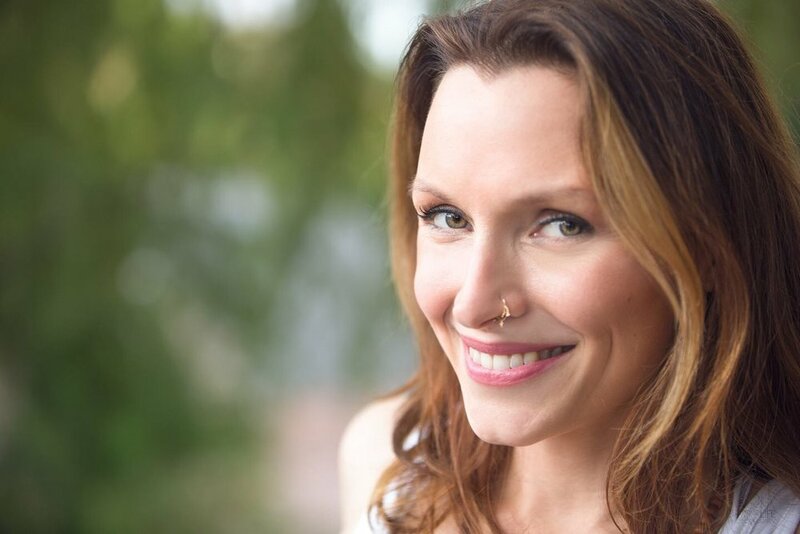 Informed by my studies with many exceptional teachers including John Schumacher, John Friend, Donna Farhi, Tias Little, Tara Brach, and Gil Fronsdale, my classes include a nurturing, lighthearted blend of mindful, alignment-focused asana, Eastern philosophy and spirituality, breathwork, and meditation. In addition to teaching yoga, I consider myself a independent traditional birthkeeper: a guardian and protector of the sacred passage of childbirth. The home water births of my own two daughters, and the powerfully vulnerable and courageous births I have witnessed, have led me to view pregnancy and childbirth as natural and creative processes that have the potential to empower, enlighten, and transform. I work as a labor and birth doula and teach childbirth education and mindful childbirth classes in Denver, CO. Through the years, my work as a birthkeeper has also integrated my studies in cultural birthing practices around the world, women's nutrition, herbalism for women, and ceremony and ritual for the childbearing year/rites of passage. Sacred Journey Yoga and Birth is my passionate effort to bring together the transformative practices of yoga and meditation with supportive services for parents and women crossing the threshold into motherhood. As a holistic full-spectrum doula, I work with women from all backgrounds and life experiences, including LGBTQ families, single mothers, and families who do not typically have access to perinatal support services. I am committed to ensuring all women have access to a birth doula and breaking down the barriers that prevent women from having the information and support they deserve as they make the courageous and profound journey into motherhood. I also have experience working with families who have experienced loss, birth trauma, and pregnancy release. Prior to becoming a mama, yoga teacher, and birth worker, I graduated from The University of Texas at Austin with a BA, and received my Master's degree from American University, where I studied international development and working on women's and youth empowerment in conflict-affected communities. When I first began working as a doula, I thought the key to supporting birthing women was to break out all of the tools and gadgets that could possibly make her more comfortable. My marketing strategy was based on my offerings of yummy massage techniques, neat rebozo tricks, the use of a TENS machine, and knowledge of fancy acupressure points. Over the years, however, my experience has shown me that it is as important to know when hands-on support - including comfort, nourishment, and hydration - is needed, and when it would be best to ensure that the birthing environment and those present in it allow the mother space to listen to her bodily instincts and inner wisdom. The key to good labor support is to know when a birthing woman needs hands-on support, and when she needs those who are with her to hold space and bear witness to the journey she is making and the work she is doing to bring her baby forth. In my work with birthing families, I focus on making certain you have the information you need to more informed choices during pregnancy, childbirth, and the postpartum period. I want you to look back on your birth as being nothing short of a beautiful and sacred experience during which you fully understood your options, were listened to and respected, and were able to make informed decisions that were best for you and your child. There is no one "right" way to birth, but every birth has the potential to be a life-transforming and positive experience. If this approach aligns with what you are looking for in a doula, feel free to send me an email or give me a call. I would love to get to know you and your family better and answer any questions you have.